Allergy TestingAllergy tests are done to find out to what triggers the patient’s asthma or allergy. Skin Prick Tests (SPT) and intradermal tests are done with the full panel of allergens. Airborne allergens – pollens, fungal spores, dusts, danders etc. and food items are tested. 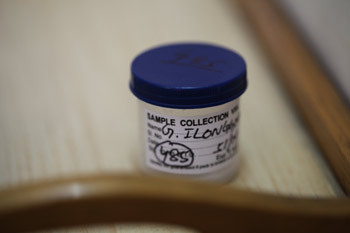 Results are available the same day.There is also facility to test allergens through a blood test ( specific IgE tests). 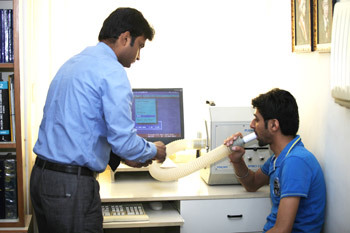 Lung Function TestingSpirometry is done on the state-of-the-art Morgan Spiro 232. The Centere is equipped with two such machines. Allergy VaccinationThere is facility for getting standardized allergy vaccines made. 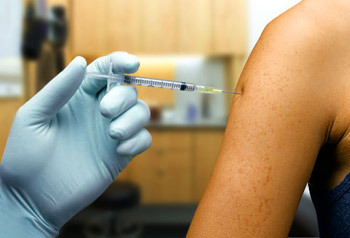 Allergy shots are administered as per the latest WHO guidelines. Lab ServicesFull laboratory services are available under the direct supervision of the Consultant Microbiologist. All basic and specialized lab tests are done. Total and specific IgEs and sputum eosinophilia quantification is done. 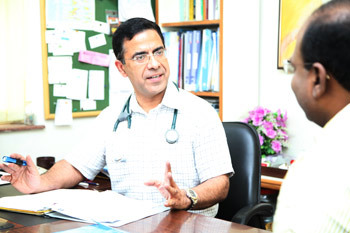 Dietary CounsellorDiet modification is important in the management of allergy and asthma. A qualified dietician is available at the centre. Cough ClinicFor cases of unexplained cough. Standardized investigation protocols are used to reach a diagnosis; only then is treatment given. 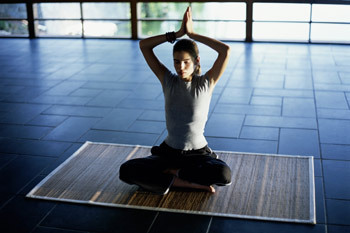 Yoga & PranayamaA fully trained and qualified Yoga instructor is available to teach Yoga and Pranayam to the Patients of breathlessness.